If you do not measure Retention then you are at risk of enabling ‘churn’. For example, an Executive Host acquires 20 new players during the Quarter but somehow 60 coded players slip away and do not play during the Quarter. Overall the Host is down by 40 valuable players by the end. But this won’t become visible until you measure it. First, it is harder and more expensive to acquire new players than to retain existing ones. Your PD team spends more time and Comps on trying to attract or identify valuable new players, and have to invest in someone that may not become a loyal guest. Second, there may be some underlying issues with guest satisfaction that you are not identifying and resolving. These were valuable enough players to be coded to a Host; so why have they declined? You need the PD team to reach out, find out what is happening, and get resolution. So how you measure churn and give the Hosts a solid goal? Here is a simple example of a Retention Goal. “You must retain 95% of your Active Players”. If the Executive Host had 300 coded players on April 1st, then 285 of them must play at least once in April/May/June. Why isn’t the Retention Goal set at 100%? Well, you have to make some allowance for the ‘inevitable shrinkage’ of guests moving away or having dramatic changes in their lives. If you think about your market, you can come up with your own logic. E.g. With 300 coded players, you might expect 2 Deaths, 10 move-aways, 1 becoming restricted, and 5 life-style changes e.g. loss of income. 2+10+1+5=18. So, you expect an inevitable shrinkage of 18. You can round it up to 20 and say the Host must retain 280 of 300 coded players. At the end of the Quarter, an updated list of trips for each player on the list. A way for the Host to know who has not played. This may be a weekly list from the Database team, or it may be built into your Host Software. Over time, and if you have the reporting capabilities, you might want to have a more elaborate Retention goal that uses trips and Theo to ensure the Active players are not only playing but playing at the same pace or better. A host retains a player in a quarter if that player makes at least as many trips as in the previous quarter. A host retains a player in a quarter when that player makes at least as many trips as in the previous quarter, and total Theo is 50% or more of the total Theo in the previous quarter. These goals have gone beyond measuring simple Retention to measuring whether Active players are ‘declining’ and the PD team is held to a higher standard. This may be appropriate if you are in a highly competitive market, or you find yourself in competitive situation for the first time. However, this requires more sophisticated reporting from your Database team or from your Host Software vendor. In conclusion, KISS, and keep it simple initially with something like Host must retain 280 of 300 coded players. This article is published at Helpful Ideas for Casino Player Development at https://casinoplayerdevelopment.wordpress.com/ You can sign up to receive the new article each week. 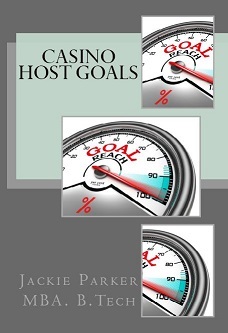 When we first think about Host goals, we often think about measures and rules. For example, “a host must contact 60 people each week”, which is a measure, and “a host must not issue a comp for more than 15% of 30 day ADT”, which is a rule. The Miriam Webster dictionary defines a goal as “the end to which effort is directed”. What is the end that we are trying to achieve by having the host contact 60 people each week? Well, we are trying to make sure that the Host is busy. But busy doing what? A cynical General Manager might suspect the Hosts are busy contacting the same 60 people that the Hosts always talks to, either because those players are pleasant or because they are demanding. Or the Player Development manager may fear the Hosts are busy talking to people that are already playing practically every day, instead of focusing on trying to get new players, or reactivate people that used to play a lot but seem to have fallen away. After some thought, we create two goals. The first goal is “Contact 10 Inactive players each week” so the Hosts call people that haven’t played for 90 days but had high Theo when they were last playing regularly. 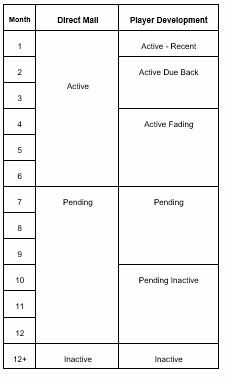 (An organized Host will find time to call two Inactive players each day of the five-day week and 2×5=10). And the second goal is “Bring back 20 Inactive players this quarter” so the Host has to find ways to encourage the Inactive players to return. The first goal measures Effort; it measures whether the Host is trying to contact Inactive players. The second goal measures Results; it measures whether the Host is successful in getting those Inactive players back onto the Property. Take another look at the Goals in place for you or your team, and see if they need a tweak? Are they really just Measures and Rules? Or are they truly focused on rewarding Effort and Results? No two hosts are exactly alike, and that’s a good thing. Variety among casino hosts means that any player can find a host with whom he or she can connect. It also means that each host is likely to have his or her own unique approach to working toward goal achievement. Which goals seem more like low-hanging fruit and can be achieved most readily? Set aside a couple of hours a week on these. Which goals will take the most work to achieve? Decide to spend a lot of time on these each week. An hour a day, every day, before you go out to meet guests? Get started now on the hardest goals! A 12-week Quarter may seem like a long time but it will disappear in no time. PLAN! Come up with an approach to each goal. This is where each Host will bring their unique ideas based on their experience and personality. Is a Goal to increase Theo from Active Players by 10% over last Quarter? Perhaps you decide (1) target the highest-ADT patrons who are off pace for their usual trip pattern, and (2) target the people who were new last Quarter and could probably play-up now they know the property. Is a Goal to re-activate 5 valuable Inactive players who haven’t played for six month? Maybe start by working the ones who live closest to the property? Maybe ask Direct Mail for the list of offers sent to Inactive guests and use that as the hook. Place a call and say “Hey, I’d hate for you to miss this Freeplay that you were sent. Let’s get you in to this Event next week and you can play on the House”. If you are new to this approach, then ask your Manager and more experienced peers for some suggestions. CLASSIFY! You’re going to be more successful if you focus on the right players at the right time. That’s easier to do if you know which of your players is the right one to call for each Goal. How do you do this? Break player lists down into smaller groups so you can work more methodically. If you don’t have a Host system, then put all the names into MS Excel and start to track when you last spoke to them. You can start by asking Database for a list of your players and their City/State, and when they last played. If you find you don’t know much about a particular bunch of patrons, put them in the category of ‘Don’t Know’ and start making calls to ask questions and fill in the blanks about those players. DISCIPLINE! Create a plan and stick to as best you can. Perhaps this is your plan when you first come on shift: (1) Make a list of 5 Inactive players to call right now. (2) Make a list of 10 Active players to call during the shift. (3) Carry this list around with you and make phone-calls between dealing with guests, or while you are standing around waiting for the Entertainer to show up. Be prepared and then you can maximize your time. MEASURE! Understanding progress is key to keeping yourself on track. If what you’re doing isn’t working, wouldn’t you rather know early on so you have time to change tactics before the goal period ends? Break your quarterly goal up into 12 weeks. If you have to re-activate 24 Inactive guests then you need 24/12 = 2 guests per week, coming back and playing. If you need to grow Theo by 240,000 per quarter then it needs to grow by 240,000/12 = 20,000 per week. Database might agree to pull a weekly or monthly list for you that shows who played and their Theo this quarter. If this is hard to get for yourself then give a specific example to the PD Manager of what would help the team, and ask them to approach Database. Some systems can tell you on a Daily basis whether your patrons played enough to keep your numbers on pace or whether an additional push might be necessary to achieve the goal for increasing Theo etc. With this knowledge, you can make adjustments to call patterns, prospecting plans, or events bookings to bring the numbers back in line. Was weather a factor? Then maybe do a snow day special that gives patrons a premium for coming in within 7 days of the crappy weather. Did a high number of valuable guests just not play? Maybe a personalized handwritten letter with a special offer is the way to go. Are you having trouble getting prospects coded? Perhaps it’s time to rethink how you choose prospects…or it’s time to talk to your team leader about how to qualify them for becoming coded players. DON’T GIVE UP!!! Be honest with yourself about what you did and didn’t do well. Improve your plans, your lists, and your approach. Talk to others on your team and to Management. Perhaps reach out to someone you know at a different, non-competitor, property and brainstorm with them about different approaches for different groups of players and goals. Remember that there is rarely a single factor that dictates success or failure. Once you have a plan, it is daily persistence that works. Good luck! 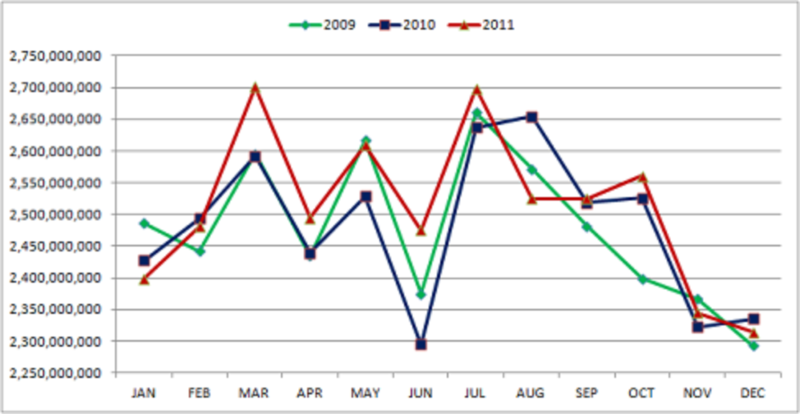 This post is brought to you by Harvest Trends. We specialize in Player Development (PD). Please take a look at PowerHost, a solution that helps you with everything discussed here. Or contact Paul Cutler at pcutler@harvesttrends.com or call 561.860.2621 Paul will overnight you an informative package along with pricing.